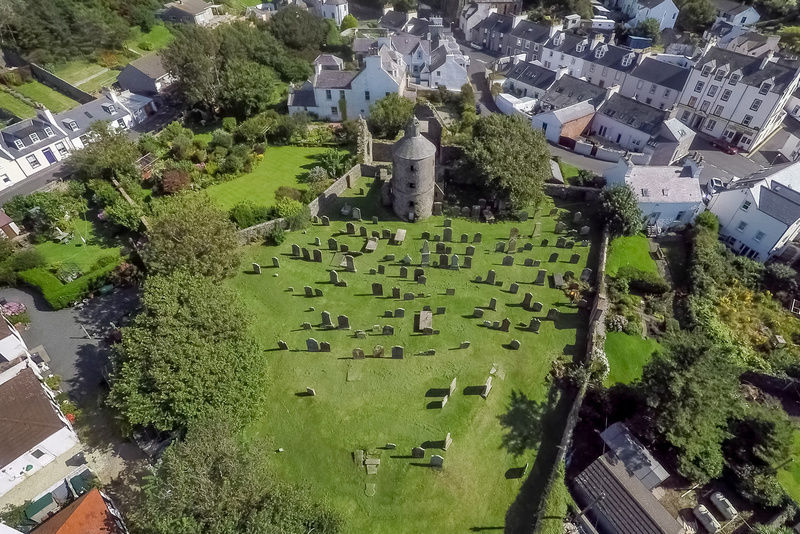 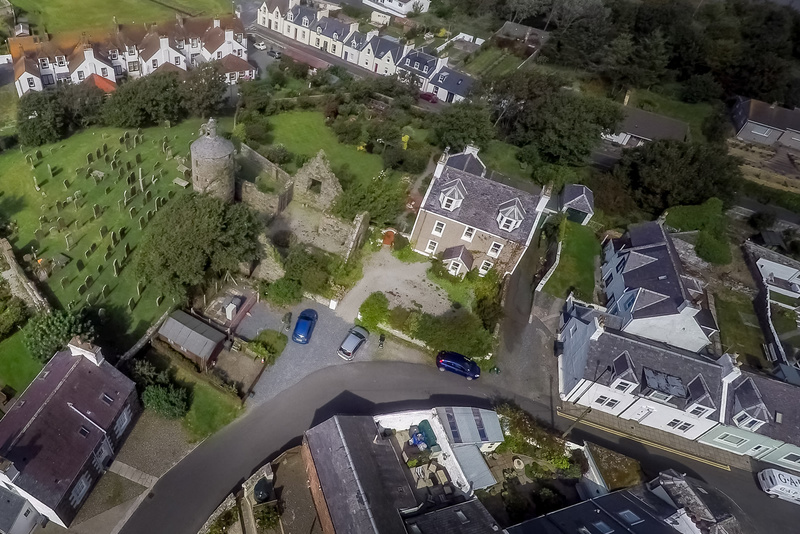 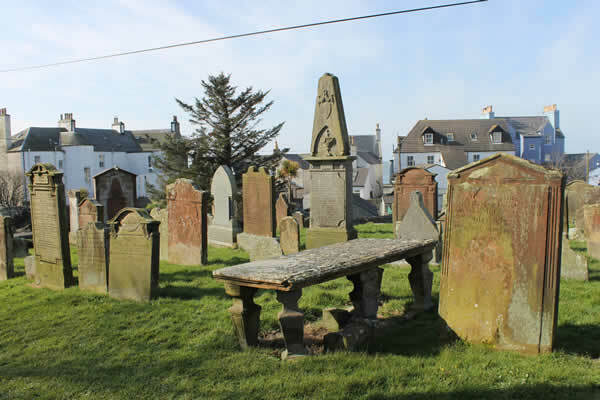 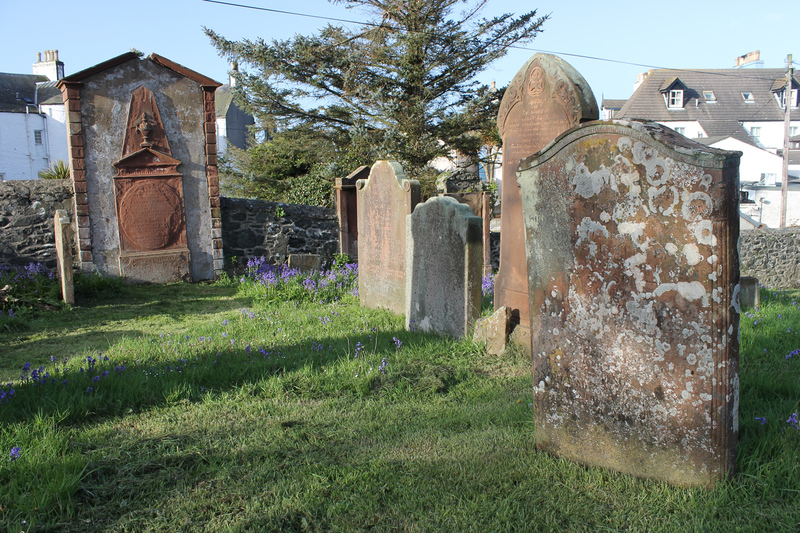 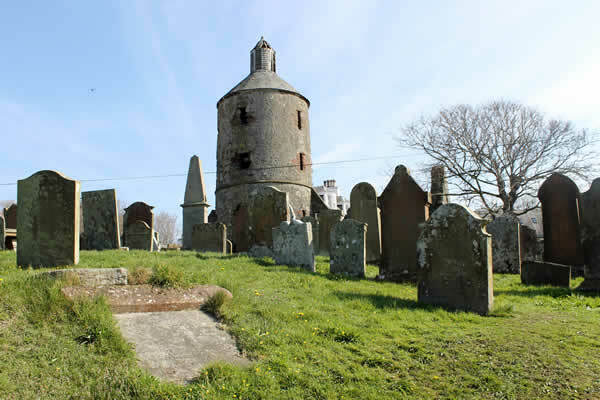 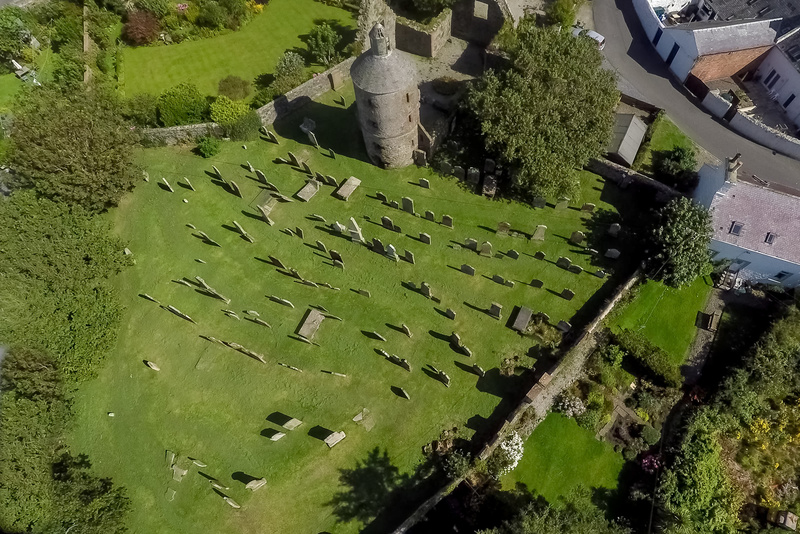 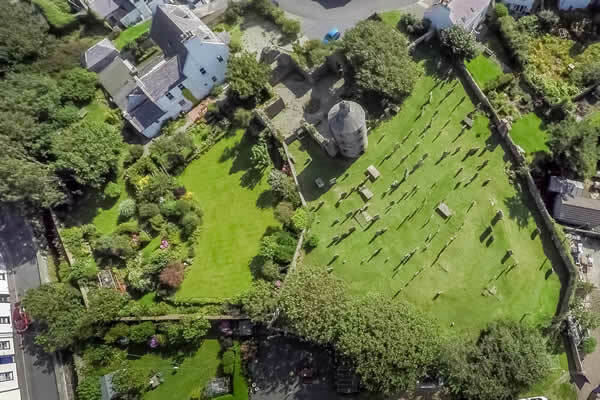 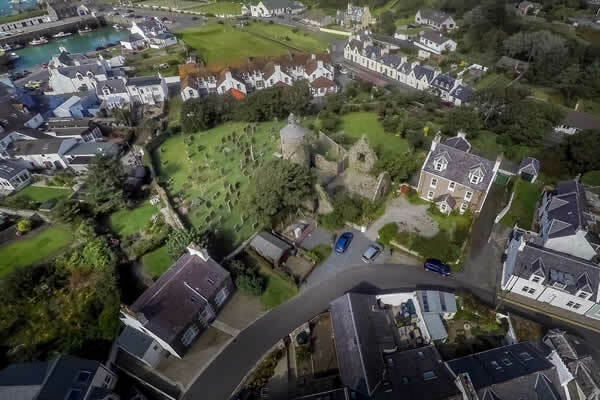 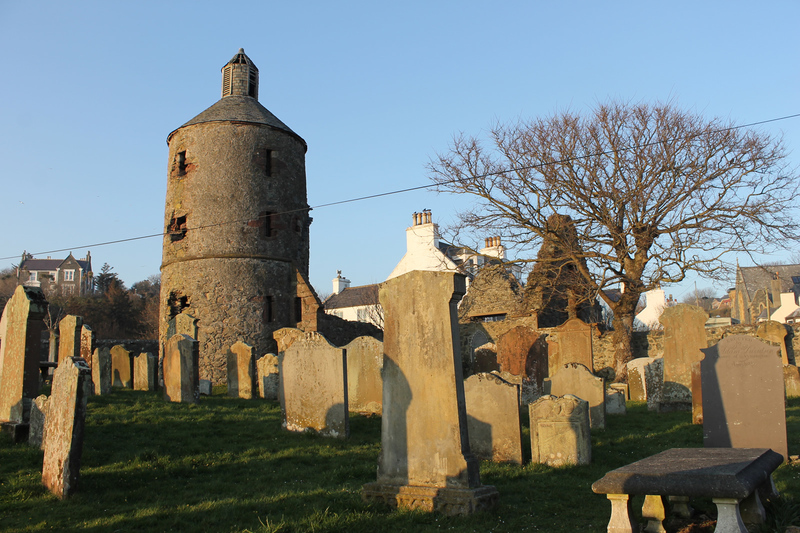 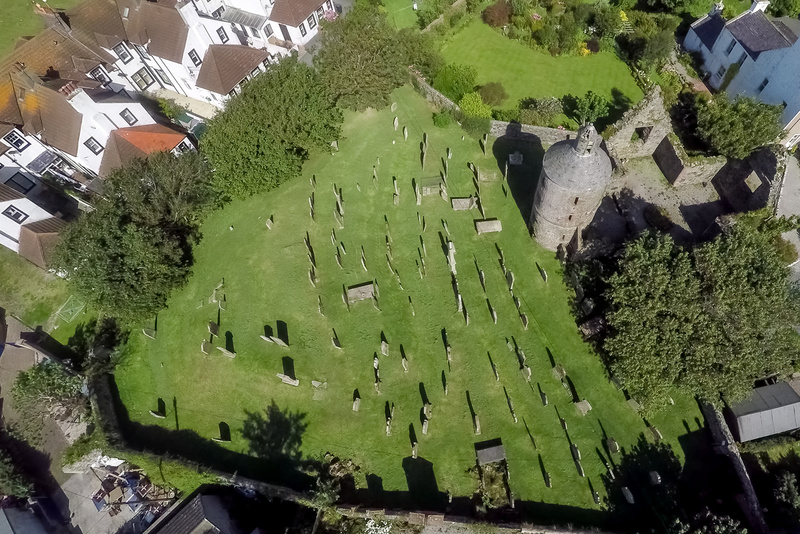 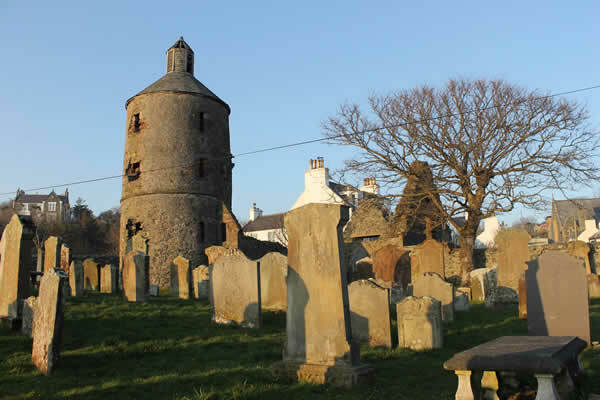 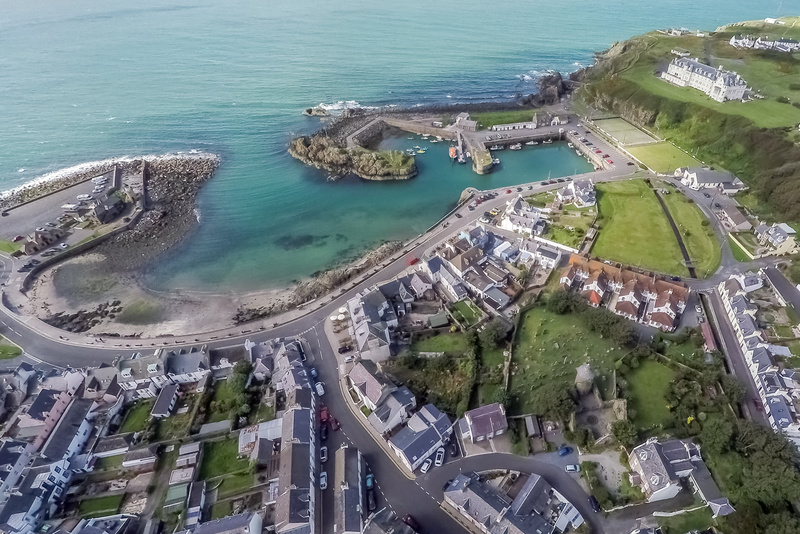 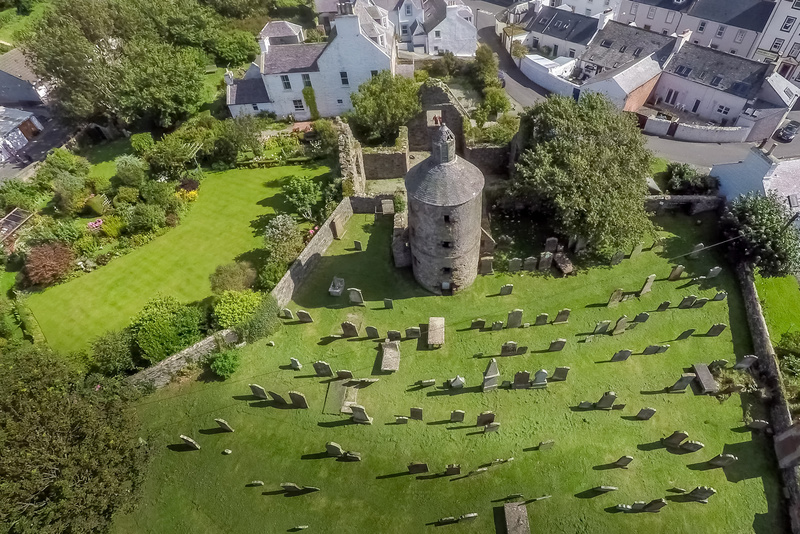 Please take a moment to browse our photograph gallery which features photographs of Portpatrick old parish church, the graveyard and headstones and the beautiful coastal village of Portpatrick including some wonderful aerial shots. 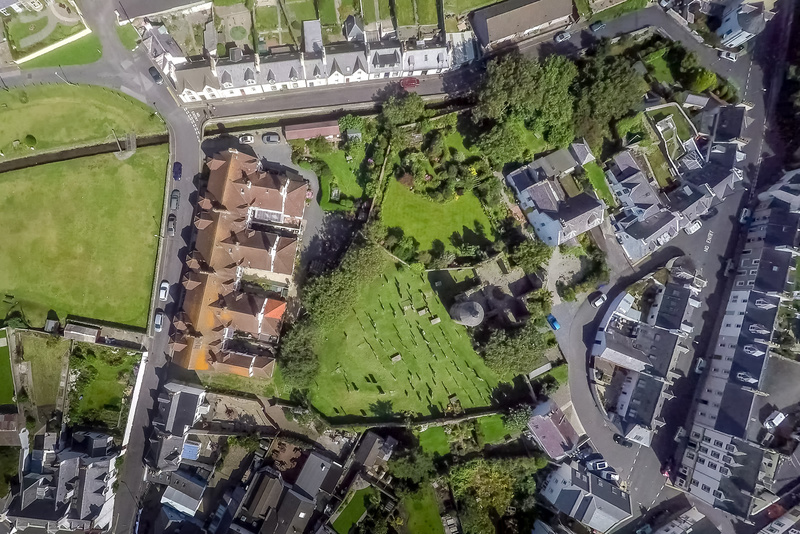 Click on any image to enlarge to full-size. Aerial view of the old parish church and churchyard. 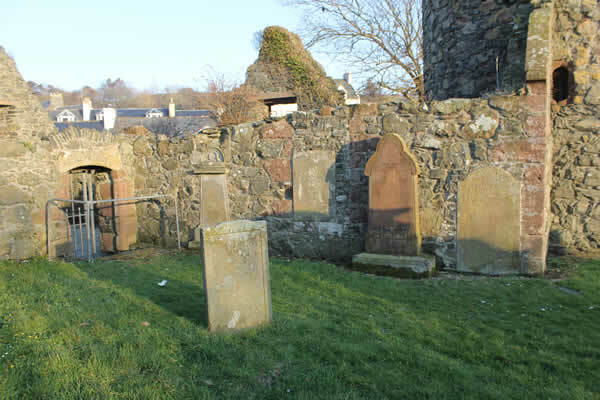 The old parish church and churchyard. 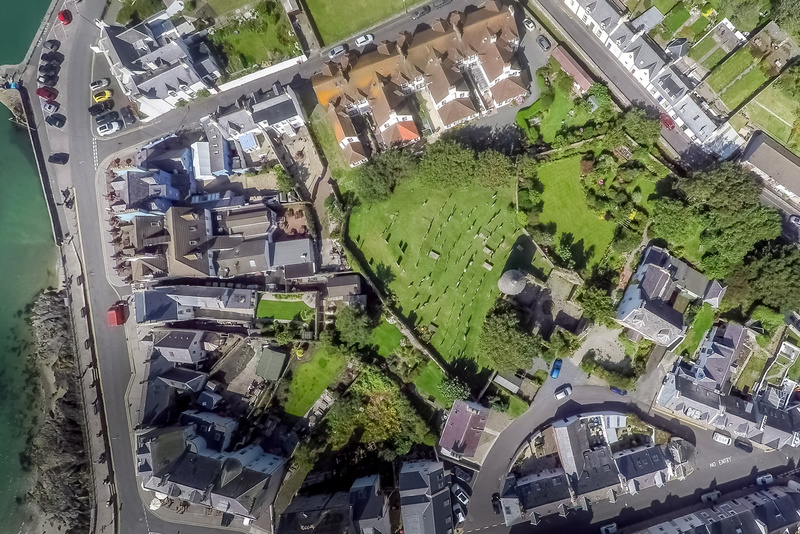 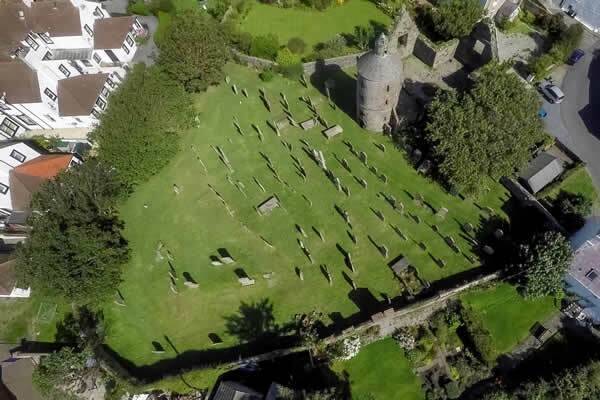 Aerial view of Portpatrick, the old parish church and graveyard. 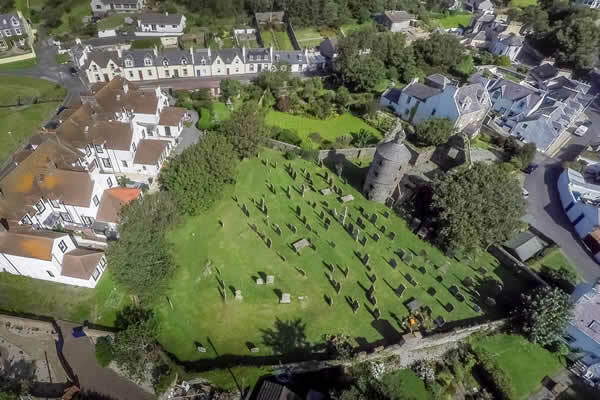 Aerial view of Portpatrick harbour, the church and graveyard.